A step-by-step guide to display and adjust Pricing Table for plans and tariffs at Blogger page. Implementation of the guide doesn’t need experience in code and will take only 2 minutes. 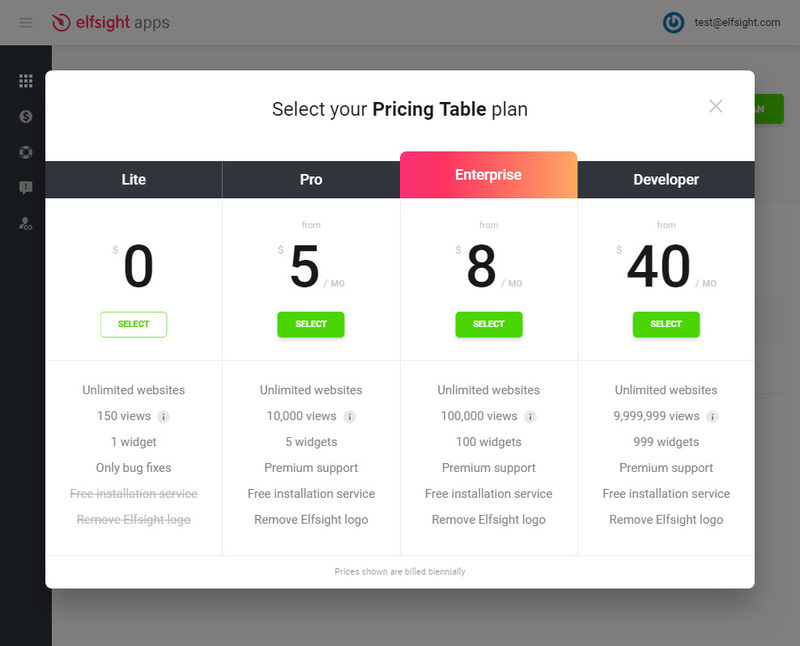 Describe hallmarks and tariffs for the products or services to start increasing the number of clients right now with magnificent Blogger Pricing Table by Elfsight. Apply ready-to-use templates or adjust each component yourself, our plugin will smoothly suit the face of any web platform. Technical support for setting problems. Learn more about the widget. 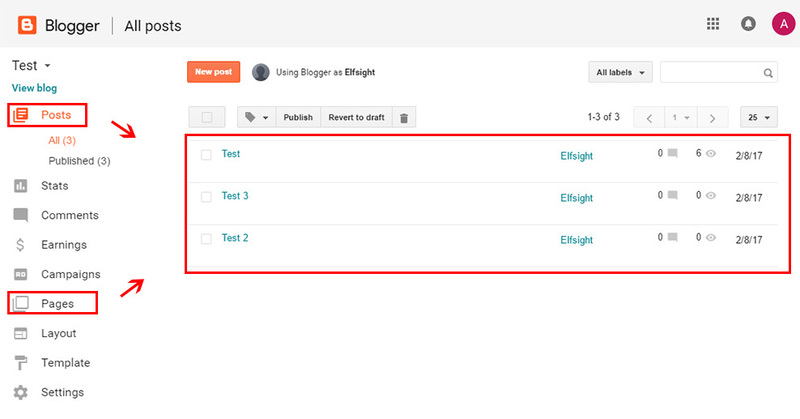 Do the mentioned further points to create the widget for Blogger site. To create a plugin for your personal webpage it is needed gradually to make below-specified steps. If within the process you will have hardships, communicate with the Support Center. Enter your e-mail address mail box and generate a password. If you already have an active account, you can just log on. In the list select Pricing Table and click it to pass to web page of the product. Select your layout or compile your plugin from the scratch. A detailed description of all functions can be studied on the plugin website. Your requirements click preferable tariff ofer from the given. We have free plans, as well as premium subscription. 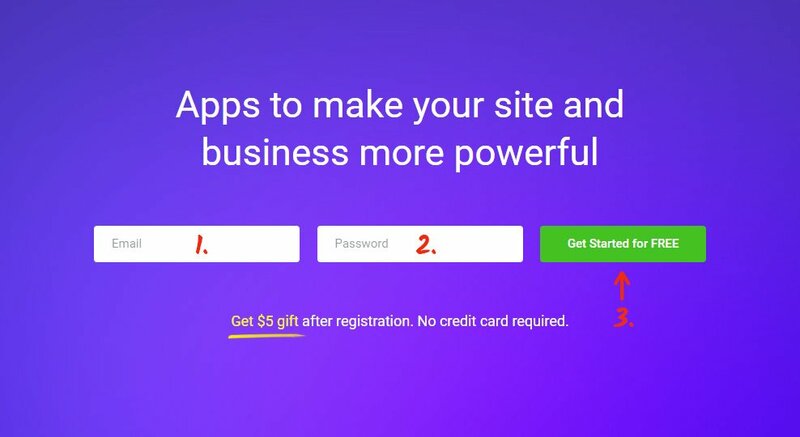 Finish this point getting the plugin that you would like to add on your internet resource. Go to Blogger and open the page where you’d like to install the plugin. Change the page content to HTML. Install the plugin code and press «Update» to apply the changes. The Pricing Table plugin’s installed! You have successfully set up the plugin to the specific page. How to edit the settings of the widget after adding? After inserting the widget to the page, all parameters should be use on your account at Elfsight Apps. Make changes to the simple editor and save them, all adjustments will be set automatically and do not claim code changing at your Blogger page. 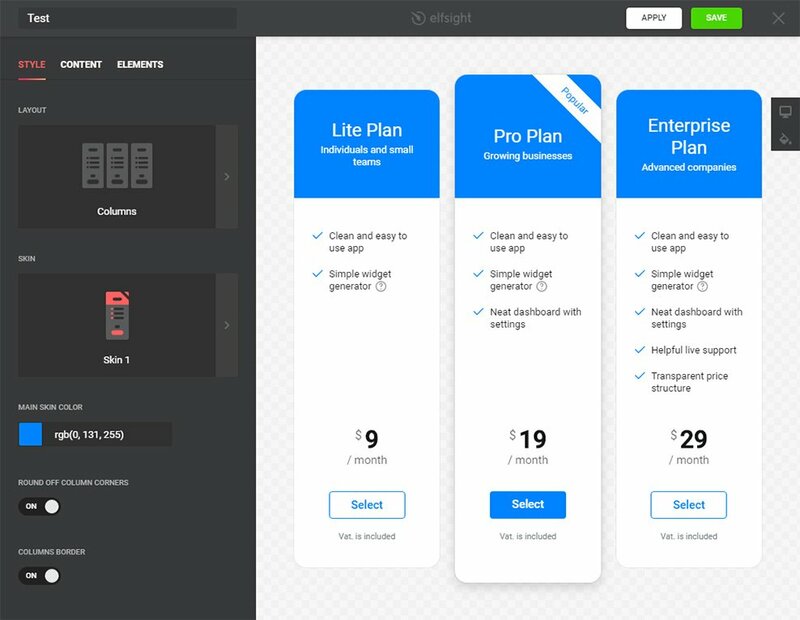 This is a cloud service for changing your business page using apps. Release unlimited possibilities of business web platform with association with social networks to get more customers. 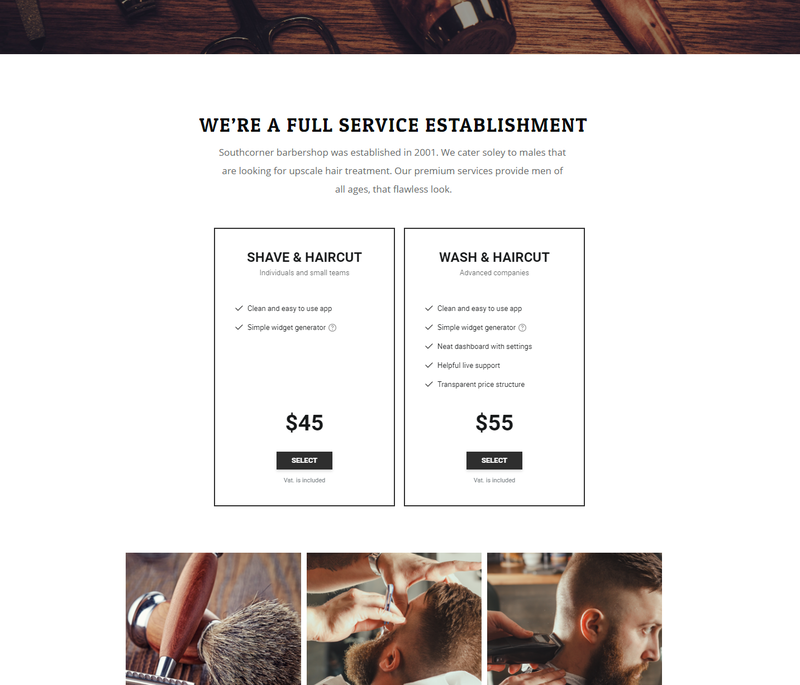 Build your custom widget with an unique design for your own website.